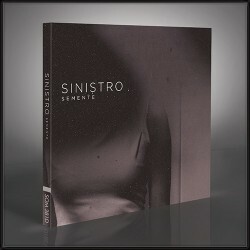 SINISTRO is a wholly unique band eschewing genre classification or easy comparison. The Portuguese band might at any moment remind of MASSIVE ATTACK, BOARDS OF CANADA, RADIOHEAD, FAITH NO MORE, SWANS, UNWOUND, or MOGWAI yet sounds like none of those. With their new album 'Semente' (seed in Portuguese) they deliver a unique take on heavy/doomy rock accentuated with a soundtrack-esque approach that is both devastatingly heavy and graceful.